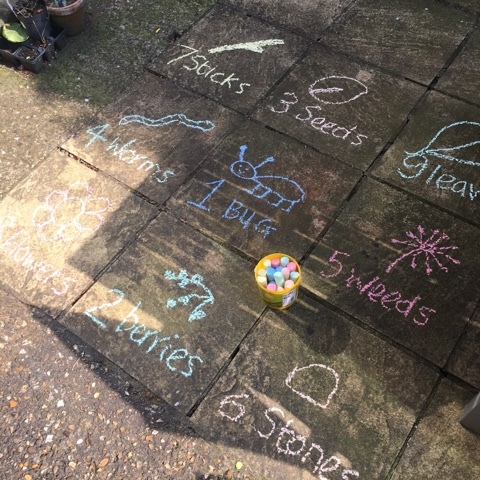 Today (Thurs) was super hot again so I set up a little scavenger hunt for T on the patio (excuse the mess - it's needs pressure washing!) 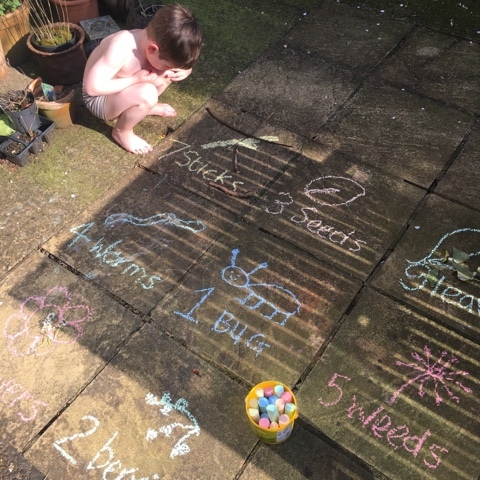 because he is literally counting everything at the moment I added a number next to each different item he had to collect. 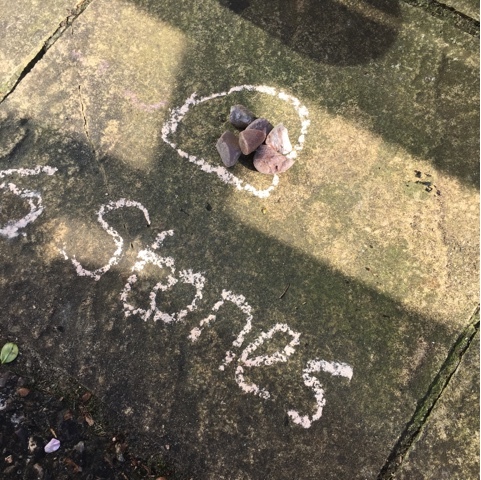 The paving slabs were perfect for each of our nature items. 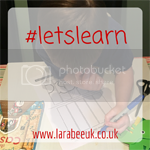 To set this up I drew a different object onto a paving slab along with the number and label. 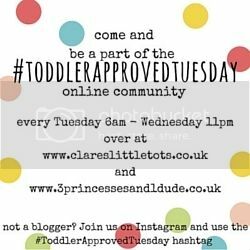 Once he understood what he had to collect, off he trotted to get his loot and bring it back to put on the relevant square. 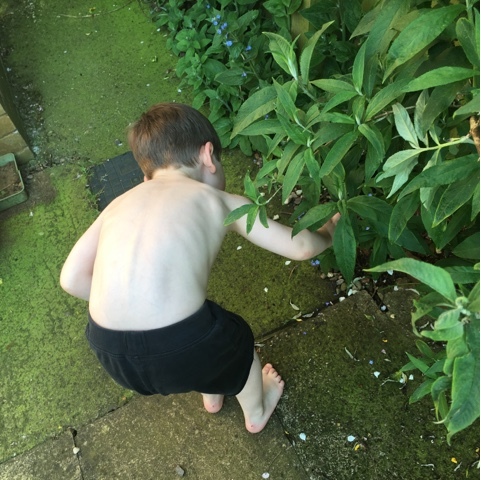 T enjoyed pottering around the garden finding the relevant objects. 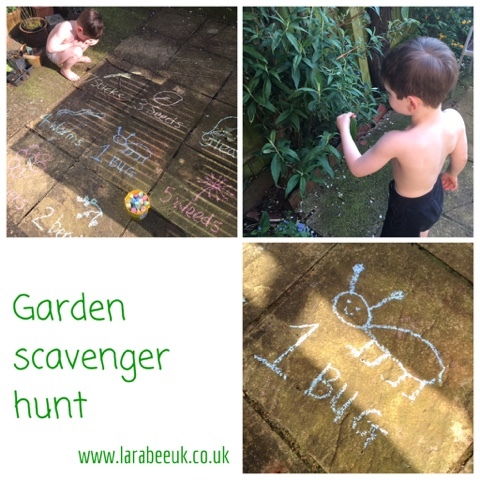 This was such a simple activity to set up and T enjoyed it so much, I think it would also be really good with a larger group of children so next time we have a BBQ I think I'll set one up for the kids to all work as a team to complete the hunt. Georgia is STILL making me do easter egg hunts with the plastic ones so I think I need to try something like this with her so I can put the eggs away finally! 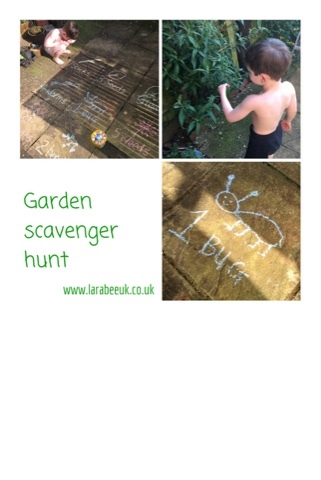 What a great way of doing a scavenger hunt - much more fun than the traditional paper version! 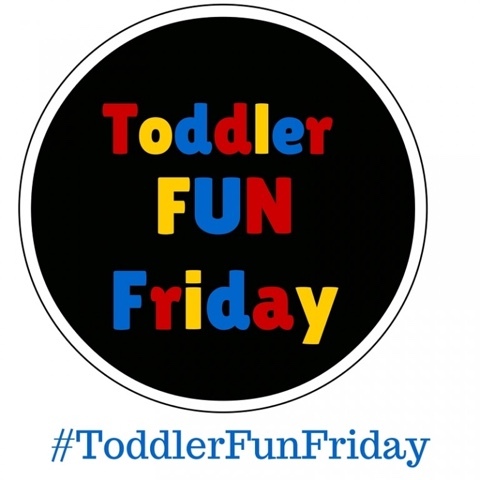 I have pinned this to the #ToddlerFunFriday board.